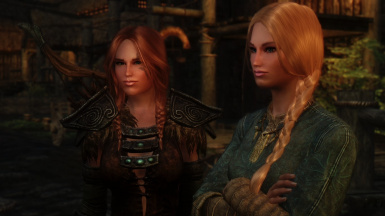 Adds Anna and Elsa from Frozen to Skyrim in a lore friendly way. Credit to the FanFiction writer Hunhund for coming up with the character's back story. Credit to Bronze316 who's ENB preset True Vision was used in the screenshots I took. Credit to Skysims for making Elsa's hair and Seren4xx for converting it. UPDATE TEMPORARY TAKEN DOWN UNTIL SOMETHING IS SORTED OUT!! Get it here for now. 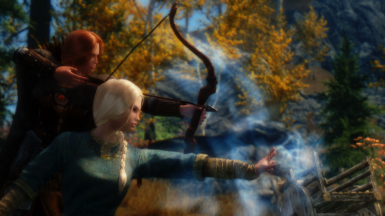 This mod adds Elsa and Anna from the popular Disney film Frozen to Skyrim in a way that's meant to allow for a more immerse experience then what I've seen so far with other Elsa mods. I also didn't see any mods that had Anna as a follower as well so I thought I might be the first. 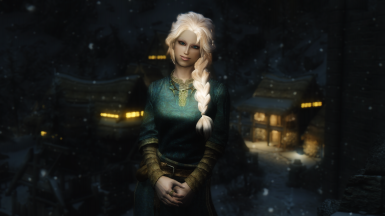 Elsa is an icemage studying at the college of Winterhold and can be found living in the Dragonborn's dorm room in the Hall of Attainment (first room on the right as you enter the hall from the ground floor. 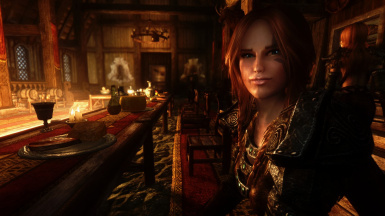 Anna is an expert archer who is a member of the companions and can be found living in Jorrvaskr hall in Whiterun. She like's to wander around a bit so she might be outside in the training yard or in the living quarters under the main dinning hall. Both of them can be recruited as follower's and both of them are marriable. 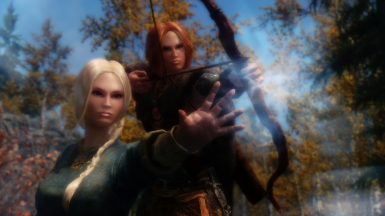 This mod requires Apachii Sky Hair. Make sure that Skysims Hair 206 (elsa).esp is loaded before SSelsa.esp (higher on the load order list). 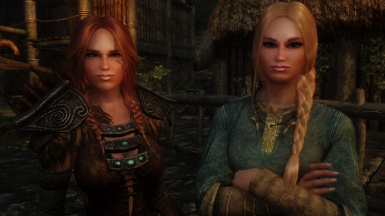 Also this mod does NOT include any female textures, so if you are not using a female texture replacer they are going to look more or less like all the other vanilla female NPC's in Skyrim who all have that generally ugly crack-addict texture that Bethesda decided to use. I HIGHLY recommend using a female replacer such as: Better Females By Bella , SG Female Textures Renewal by Hello Santa, WSCO - Windsong Skyrim Character Overhaul by Windsong, or Coverwomen by mrLenski. You only need one female texture mod but my personal recommendation would be the Oriental version of WSCO, it's what I used in the screenshots I took. Credit to Shorty Specs for making the demonstration video.